Ramadan History - Why Ramadan is Important? Considered the most sacred Muslim occassion, Ramadan is observed throughout the ninth month (also known as Ramadan) of the Islamic calendar. Held since ancient times, this holy event has pious Muslims fasting, practicing extreme self-restraint, praying, doing charitable activities and all such actions that are recommended by Islam. 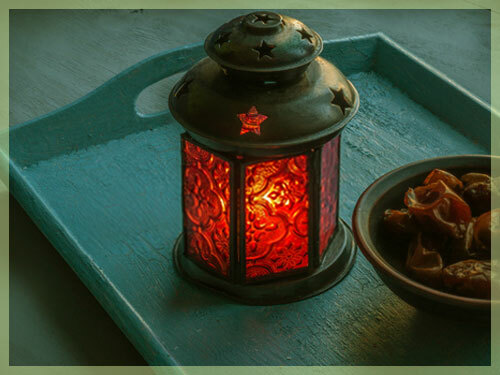 Go through our informative article on the "History of Ramadan" to know when Ramadan originated and how it came to be established. If you like reading about the fascinating history of Ramadan and want to share it with your friends and loved ones, please click here and refer it to the. Wish you a sacred Ramadan! Ramadan is a time of spiritual reflection, improvement and increased devotion and worship. Muslims are expected to put more effort into following the teachings of Islam. The fast begins at dawn and ends at sunset. Ramadan also teaches Muslims how to better practice self-discipline, self-control, sacrifice, and empathy for those who are less fortunate and thus encouraging actions of generosity and charity. It becomes compulsory for Muslims to start fasting when they reach puberty, so long as they are healthy, sane and have no disabilities or illnesses.